This breakfast! On a cold autumn morning. With a cup of tea Warm, smells like baked apple, cinnamon, vanilla and what not. Crumbly yet soft. Make it!!!! 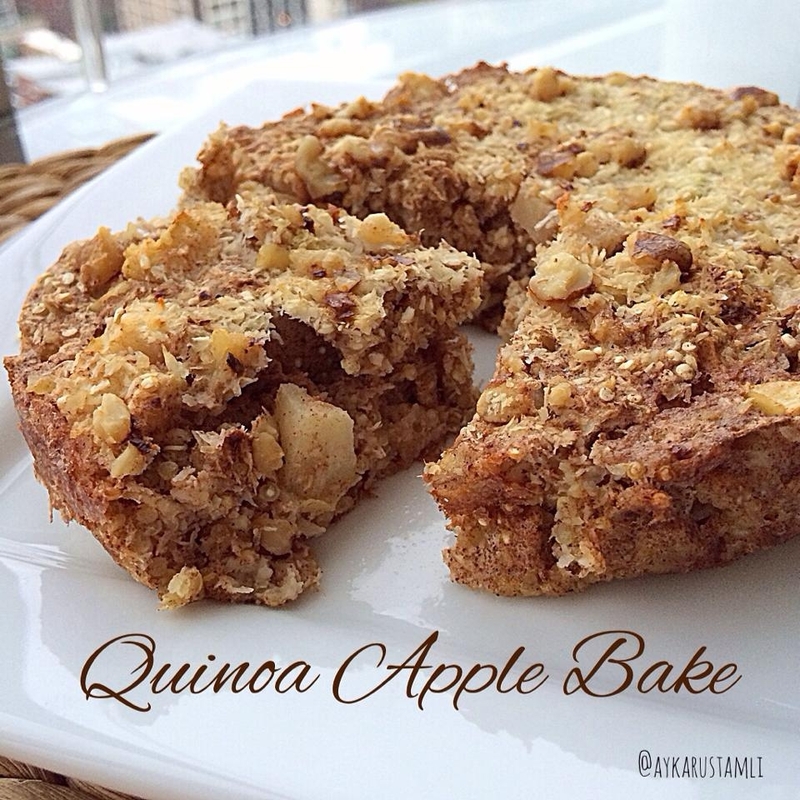 Here ya go : Mix 1/4 cup uncooked quinoa,1/4 uncooked old-fashioned oats, cinnamon as much as you like, 1/2 tsp baking powder, 2 tbsp chopped walnuts, 1/2 chopped sweet apple. In another bowl mix 2/3 cup of almond milk with 1/4 cup liquid egg whites(or 1 egg white), about 1/4 tsp vanilla and sweetener of your choice. Mix dry and wet ingredients and sprinkle the top with more walnuts and some coconut flakes if you want. Bake at 375F for 30 min.